Jerry’s Artarama offers a custom frame shop to bring new life to any piece of artwork. We provide a selection of frame materials, colors, matting, and sizing to make your new frame truly your own. Bring your artwork to our framing counter for free consultation and estimates! Professional – We are proud members of the Professional Picture Framers Association. Best Prices – We offer custom frames at exceptional prices every day. Convenient – We offer all the accessories you need to hang your new frame. Passionate – Our framers are friendly, knowledgeable, and well-trained to make your frame perfectly. Tips & Advice – Got a question? 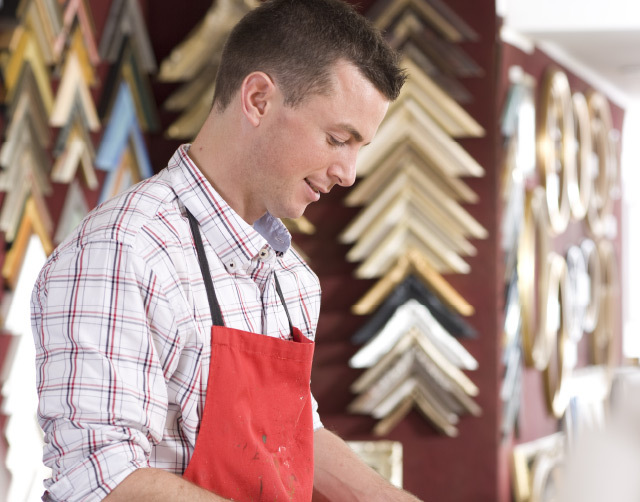 Our expert framers provide advice and ideas for any custom frame. Save More – We match any competitor coupon to give you the best value. Customize – We have hundreds of custom frame mouldings and mats to choose from. 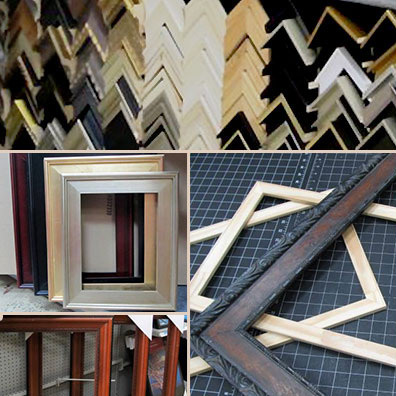 No Order Limit – We can provide as many custom frames as you need. Object Framing – Want to frame a special keepsake or momento? Our framers will help you keep your memory on display for years to come. Do you need a frame quickly? Our ready-made and open-back frames provide a quality home for whatever you want to showcase without the need to customize. Extensive Selection – We offer a large selection of custom frames designed for a quick fit. Metal Frames – Add a modern feel to any room with a metal frame perfect for showcasing posters, photos, or diplomas. Wooden Frames – Our wooden frame options add a touch of rustic elegance to whatever you put in them. Canvas Stretching – We will prepare and preserve any canvas for framing. Cut-To-Size – Need us to cut you glass, acrylic, or boards? All we need are the measurements you want. Matt Cutting – Don’t waste time waiting. We provide on-the-spot matt cutting. Mounting – Want a permanent mount for a dorm room or cubicle? Let us take care of it for you. Do-It-Yourself – Our sectional frames let you customize at your convenience. Accessories – Need more? We offer mat cutters, framing tools, fitting and hanging hardware, and much more. © 2019 Jerry's Artarama of Lawrenceville All Rights Reserved.